The Downtown Next 2020 Vision established ambitious goals for Downtown St. Louis to accomplish from 2010 through 2020. 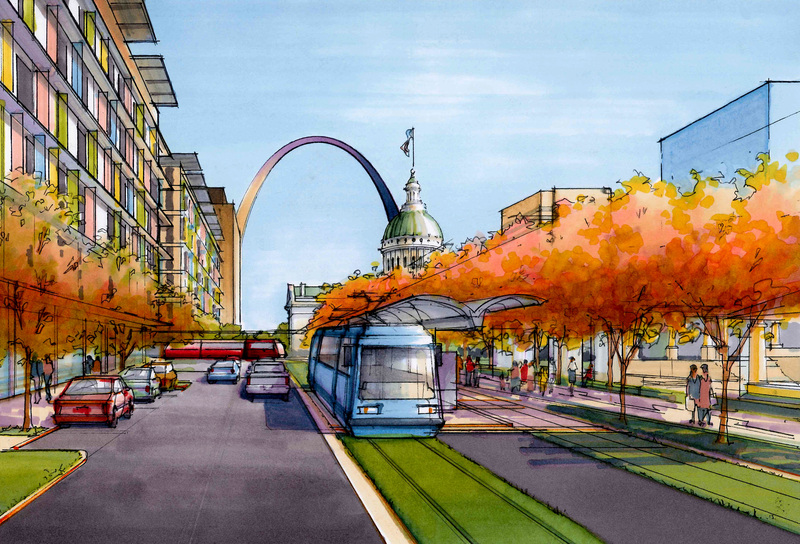 One of the goals in the Downtown Next plan is “Making Downtown Accessible and Easy to Get Around.” The Partnership for Downtown St. Louis and other stakeholders saw how a downtown streetcar improves accessibility. 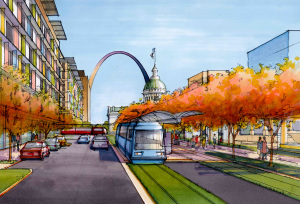 The Partnership for Downtown St. Louis led discussions and in the summer of 2012 raised private funds to hire a consultant to conduct the St. Louis Streetcar Feasibility Study. An RFQ was issued and a consultant was hired to perform the feasibility study. The purpose of the study was to determine the feasibility of implementing a modern streetcar linking downtown, the near Northside, Midtown, and the Central West End.